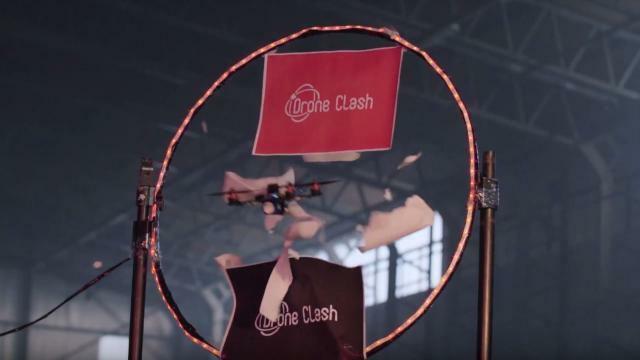 On 4 December 2017, HSD partner TU Delft, will host the first ever anti-drone competition 'DroneClash'. During this competition participants use their own drone(s) to take down as many other drones as possible. They also need to avoid a whole series of anti-drone interventions. Teams who wish to take part in the competition can register from 20 March 2017. 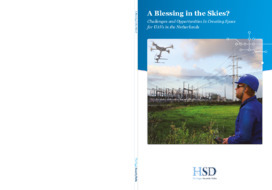 The game aims to stimulate the development of anti drone technology and will take place at one of Valkenburg airfield hangars. At the same time with the rise of drones, more measures against drones are proposed, according to Bart Remes from the Dronelab of TU Delft. "Ideally, these developments keep each other in balance, and make sure that a responsible and safe use of drones can be guaranteed". During the game, four teams will battle against each other. The drone composition is as follows: each team has at least one fight drone and a queen which has to be protected. The fight drones need to fly through a hall where anti drone measures will be taken, such as nets. According to Remes, it is the first time in the world a anti drone competition will take place. The National Police is involved in this event in order to stimulate a safe use of drones. It is not the first time that the National Police is active on this topic. In 2016 they already tested the deployment of birds of prey in order to take down drones at for example airports. Read the article on Nu.nl (in Dutch) here.